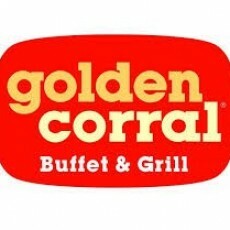 Best Buffet In Egg Harbor Township All-U-Can-Eat! Anytime Buffet! Kids ages 3 and under Free (Limit 2 free meals per adult purchase) Ages 4-8 $6.29 Ages 9-12 $7.99. Golden Corral Egg Harbor Township wants you to join our Kids Corner Club! Our Kid's Corner Club is open to kids 10 and under but you must have permission from an adult in order to join. When you become a member in Golden Corral Egg Harbor Township's Kids Corner Club we will let you know of all the exciting kid-friendly events happening at our store, and every year on your birthday we will send you a certificate that will entitle you to ONE FREE KID's BUFFET!